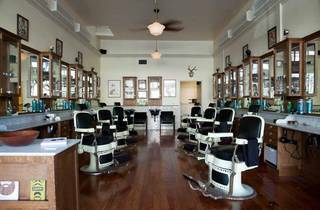 J.P. Kempt is a modern barber shop branded by a golden pair of scissors and straight razor painted on its clear glass front door. Wood is everywhere—on the floors, mirrors and cabinets; as are the iconic black and white swivel chairs. However, what makes J.P. Kempt’s decor stand out are the smooth marble countertops and design-savvy accents like antlers on the wall and turquoise glass comb-holders. 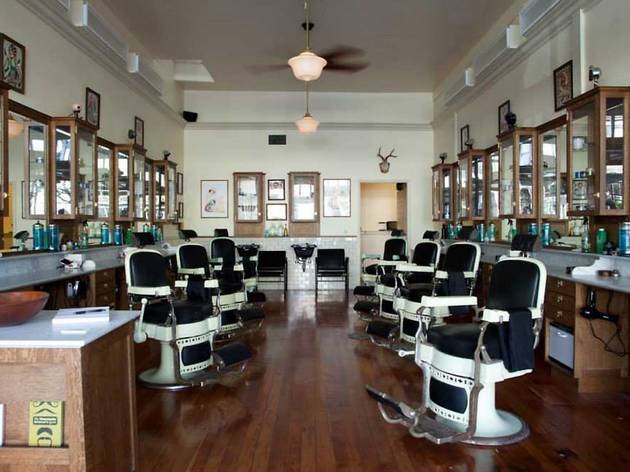 The barbers are professional and serve coffee, tea, or whiskey to everyone with an appointment. The vibe is positive and warm and most services are finished with a soothing hot towel treatment.